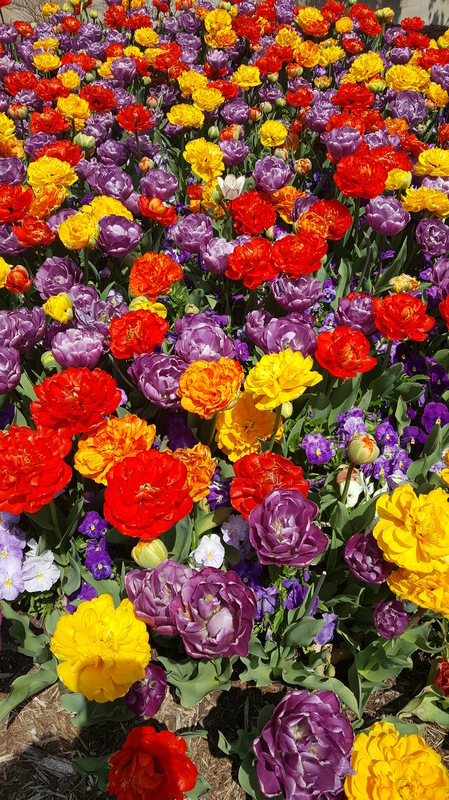 Check out the fun event happening this weekend at the Missouri Botanical Garden! “Meet Me Outdoors in St. Louis” will be held April 7-8. 10 a.m. to 4 p.m. 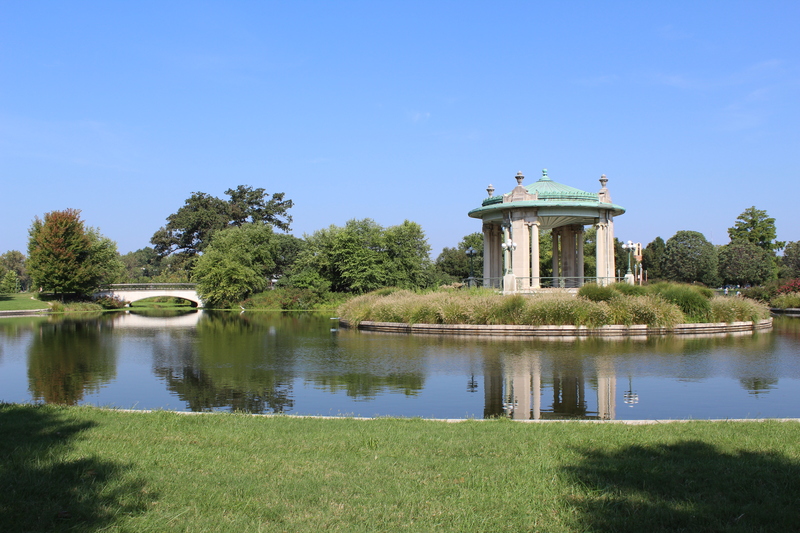 Celebrate the success of Forever: The Campaign for Forest Park’s Future at a free gathering at the iconic Pagoda Circle. The campaign helped to raise funding for park improvements and maintenance. Hosted by Forest Park Forever, the FREE public event will offer live music from the local band Fat Pocket and popular local food trucks will be on-site for the public to purchase some tasty treats. The event will be family-friendly and also pet-friendly. Parking: Free parking is available in the Visitor Center east & west lots, the Festival & Parking Plaza and the lower Muny lot. The event is FREE & open to the public! Find more information HERE. Get Ready For Spring Gardening With Gateway Greening! Springtime is just around the corner! It’s not too early to start planning the garden! Here are a few exciting events coming up from Gateway Greening! Hey, What Are You Going To Do With That Old Computer & Outdated Electronic Devices? 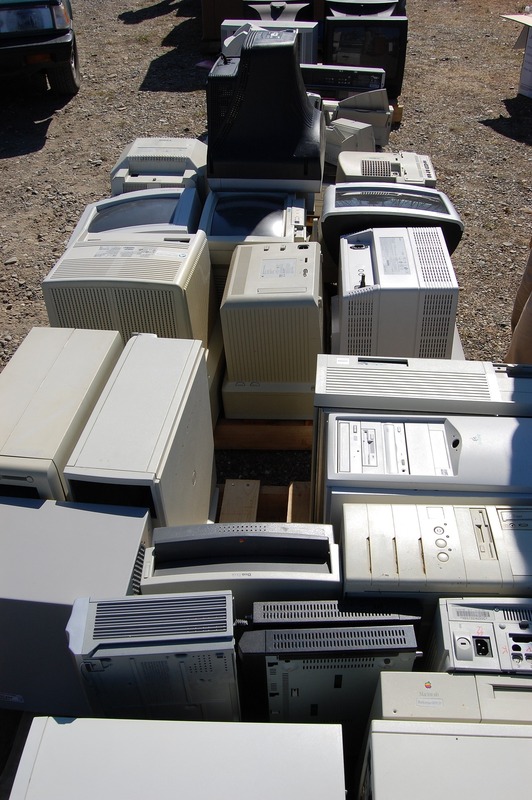 Recycling E-scrap May Be More Important & Easier Than You Think. Here’s a headline for you: “E-waste grew 8 percent in just 2 years. Just one-fifth was recycled. – A growing global middle class and our tech-saturated lives are burying the planet in electronic waste.” The article appeared in Environmental Health News (EHN) recently. While the public happily pursues the latest popular new technology and electronic gadget, what is happening to the discarded electronic devices? Apparently, recycling the equipment is not on top of the list. Check out the EHN article HERE. Many people are conscious of recycling glass, plastics, and other materials – so why not electronics? It could be many reasons, like the items could be bulky or the items may not be able to be picked up with the rest of a household’s recyclable materials. It’s not just households – businesses can also produce a large amount of electronic waste. A step in the right direction may be as simple as knowing where to take our e-scrap to be recycled. So what should we do with our electronic waste in the St. Louis area and Missouri? Find a few informational resources that can help below. Also, can our electronic waste be a threat to national security? One national advocacy organization says – yes. Don’t Miss Eagle Days This January! The Missouri Department of Conservation has posted information about the upcoming Eagle Days! Save the date this January for the popular Eagle Days at the Old Chain of Rocks Bridge festival in 2018. 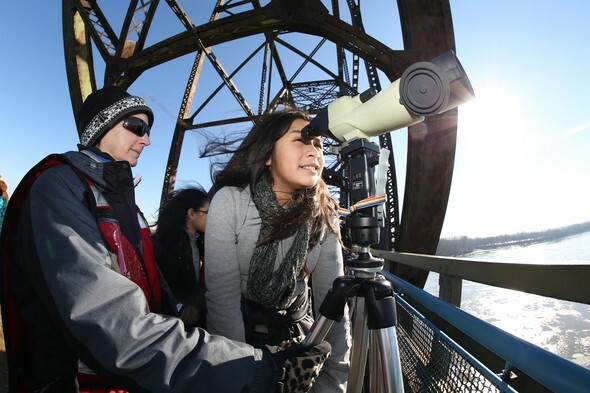 Eagle Days at the Old Chain of Rocks Bridge will take place from 9 a.m.-3 p.m. Saturday and Sunday, Jan. 13 and 14, 2018. This free, family event is an excellent opportunity to see bald eagles in the wild and up close during live bald eagle programs presented by the World Bird Sanctuary. 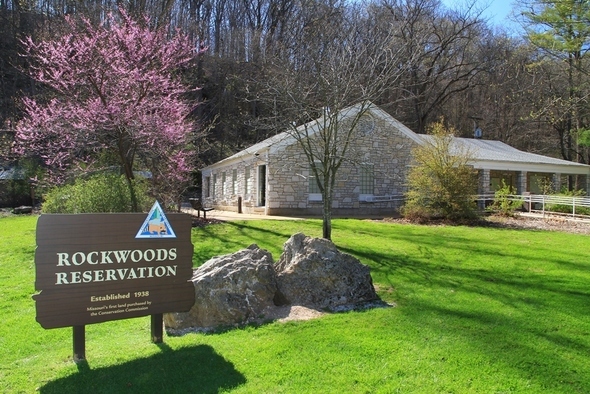 During both days, the World Bird Sanctuary program will be repeated every 20 minutes from 10 a.m.-2:40 p.m. Lewis and Clark re-enactors will also present a living history camp on the Missouri side, and demonstrations on the Illinois side. 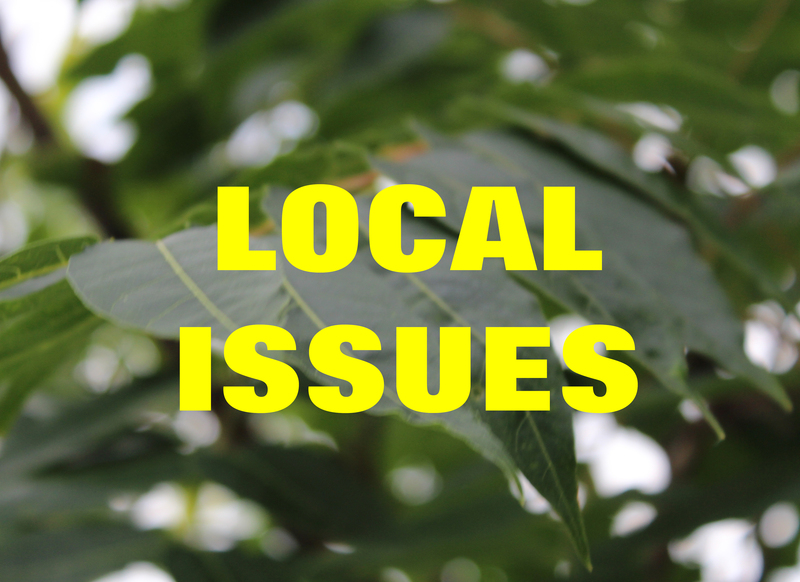 The Open Space Council for the St. Louis Region has released information about a protest to protect Creve Coeur Lake Park. The event will be held Tuesday, August 29, 2017, at the County Government Building, 41 South Central Avenue in Clayton, MO 63105. The protest will start outside the building at 5 p.m., and at 5:30 p.m., the protesters will move inside for the County Council meeting. The St. Louis Ice Center is under construction and 40 acres of the park have already been cleared. The work has been done without the necessary approval from the National Park Service as pointed out in this article by the St. Louis Post Dispatch. Since then, legislation has been introduced calling for a halt to construction and a hold on any further advancement of this project until decision makers can review this project further. Additional St. Louis Post-Dispatch article HERE. 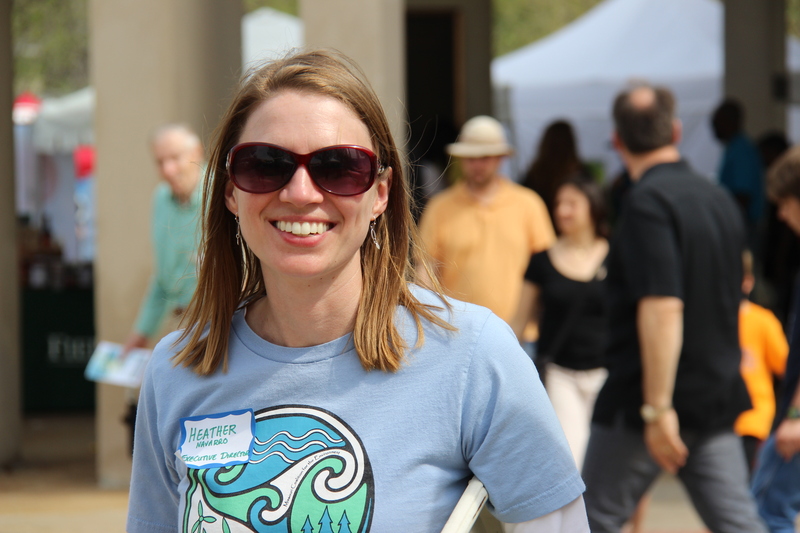 Pictured: Heather Navarro, Missouri Coalition for the Environment executive director and newly elected to the St. Louis Board of Aldermen for the 28th Ward. Heather Navarro shares information and insights into the CLEAN Missouri Initiative and the Missouri Coalition for the Environment. She was also recently elected to the St. Louis Board of Aldermen for the 28th Ward, which filled the seat formerly held by Mayor Lyda Krewson. In this wide-ranging interview, Navarro talks about the importance of the City of St. Louis becoming sustainable and combating the effects of climate change, the idea of urban and rural areas working together, the safety of residents living near the radioactive waste in North County, and the measures that will be on the ballot for St. Louis City in 2018. To hear the podcast interview with Navarro and Don Corrigan click on the audio below. 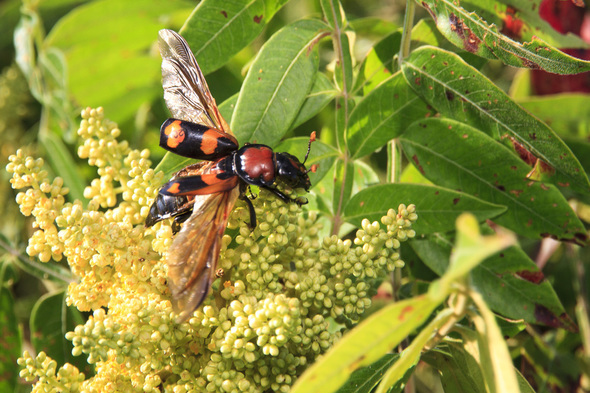 The American Burying Beetle: Back From The Dead? The American burying beetle disappeared from Missouri decades ago. Once found in 35 states, the federally-endangered beetle is now struggling to hang on in less than seven. The dead flesh eating beetle (Nicrophorus americanus) is the largest class of carrion beetles. “It’s not every day you get to work with federally-endangered species. It’s really exciting to have a role in the nation-wide conservation of this animal,” MDC’s St. Louis Regional Natural History Biologist Andrea Schuhmann said. See more from the MDC update below.